This issue focusses on the various facets of a marcom department, and what it takes for a communicator to succeed in one. The content seeks to inspire communications professionals who are looking to transition to the marcom side. This article is the first in a series of two written exclusively for Communicator. 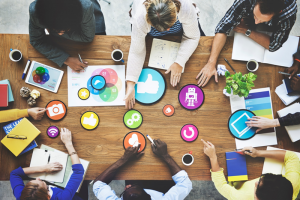 As organizations grow and evolve or face industry hardships, the importance it places on its marketing communications (marcom) department differs. Sometimes it’s a behemoth —the star of the show; and other times it’s a one-person operation — a small fish in a small pond. Marcom departments can vary in scope depending on the size of the company, the latter’s commitment to the function of the department, and the overall budget it’s willing to designate to the team. Marcom can be the first department to receive financing if the group is part of a megalithic brand with deep pockets. Alternatively, marcom can be an easy target for businesses looking to shave their budgets and be okay allowing the department to crumble like a house of cards. 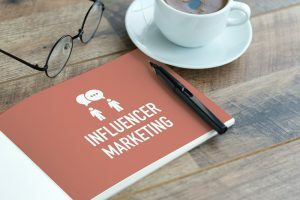 This article is the first in a two-part series about influencer marketing. We are intrinsically programmed to want to belong. This is why when we see someone in our social group with a certain product we are more likely to covet it. We want to fit in. We want to have points of contact for communication to build and sustain relationships. In psychology, this is called belongingness. The idea of influencer marketing is not new. The bottom line has always been to get the right people to use your product, creating a greater demand across your audience, resulting in more people using it. The best way to do this is to focus in on the leaders of social groups and piggyback off them to make your product popular. Great teams make for great results – a truth so eloquently described in this African proverb. The same can be said within the realm of communications. Done well, integrated marketing and communications strategies can reach target audiences more effectively and efficiently than independent campaigns. 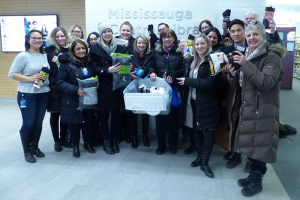 The City of Mississauga’s Strategic Communications Division, under the leadership of Director Ivana Di Millo, has found the “sweet spot” of this dynamic combination. Mississauga is the sixth largest city in Canada with a population of 766,000 and more than 86,000 businesses. The City boasts a vibrant waterfront, parks, trails and recreation facilities. It is one of the most culturally diverse cities in the world, with newcomers making up 53 percent of the population. You’re back from the holiday break, you’re refreshed and recharged, and ready to tackle the plan for 2018. This year will be different: you’ve made resolutions to use new channels, and to experiment to find new and more effective ways of telling your story. You’re going to measure everything, you promise yourself, and you’ll be bolder than ever before.